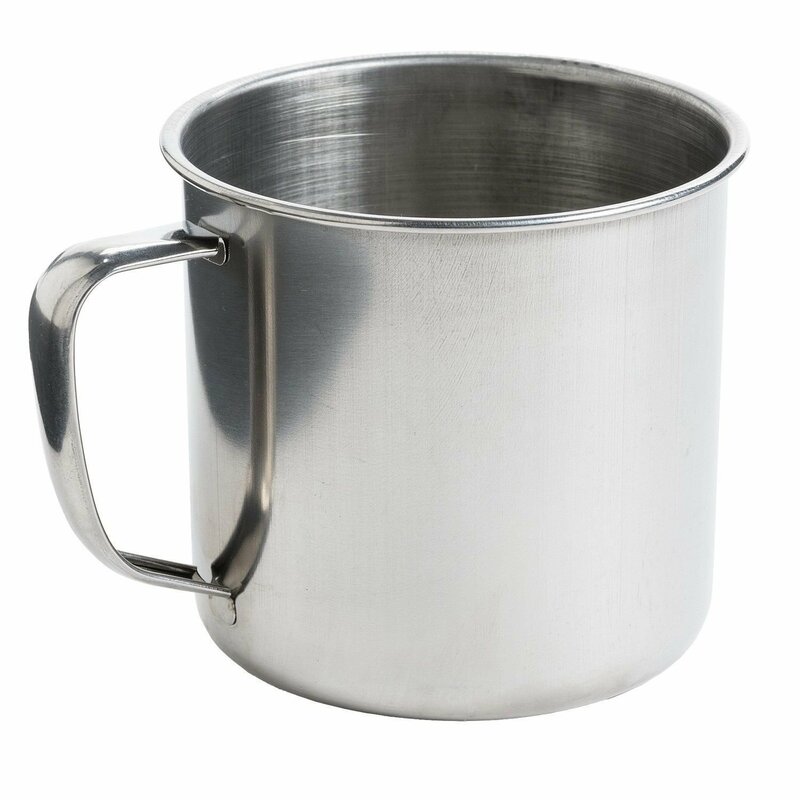 A must-have camp essential, this Jacob Bromwell stainless steel cup holds a whopping 28 fl.oz., making it just as perfect for holding a big helping of soup as it is for your morning cup of joe. Specs about Jacob Bromwell Stainless Steel Camping Mug - Large, 28 fl.oz. Dimensions: Diameter 4-1/2" Height 4"